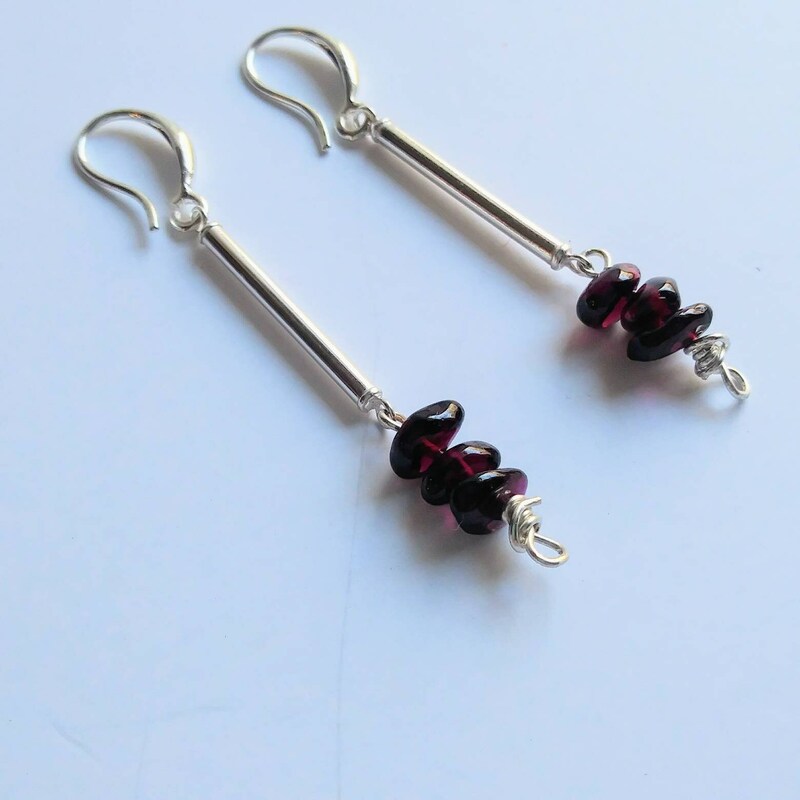 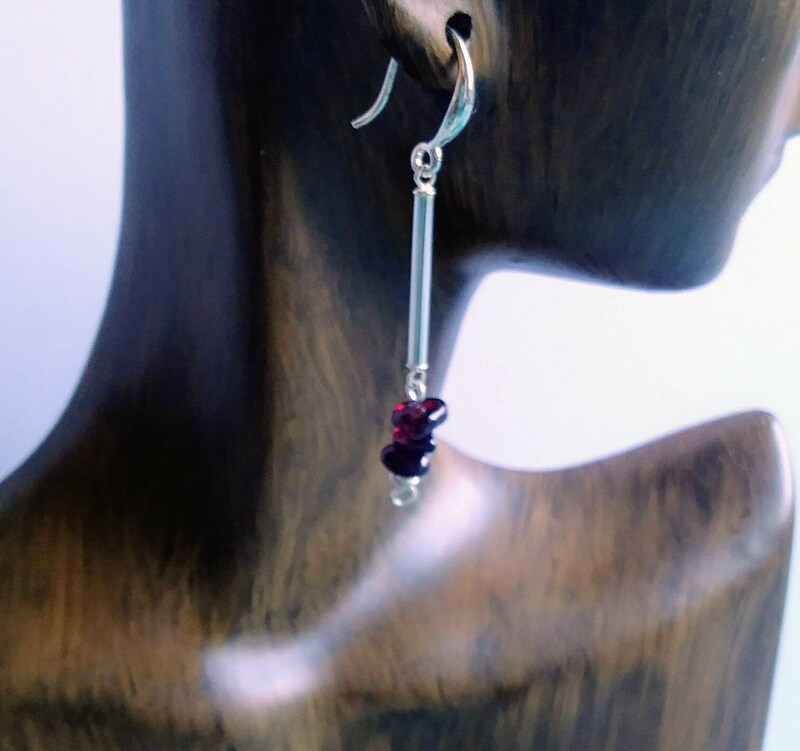 Simple sterling dangle earrings, with a touch of garnet at the end. 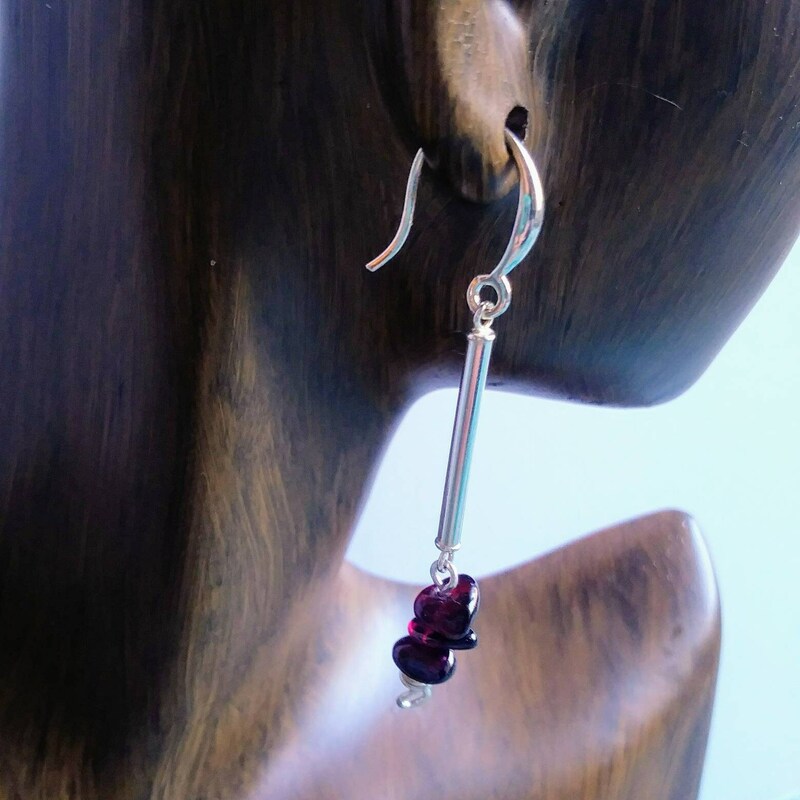 Three lovely polished Garnet stones still have an organic look at the end of a small silver extender which allows the earring to have a little movement. 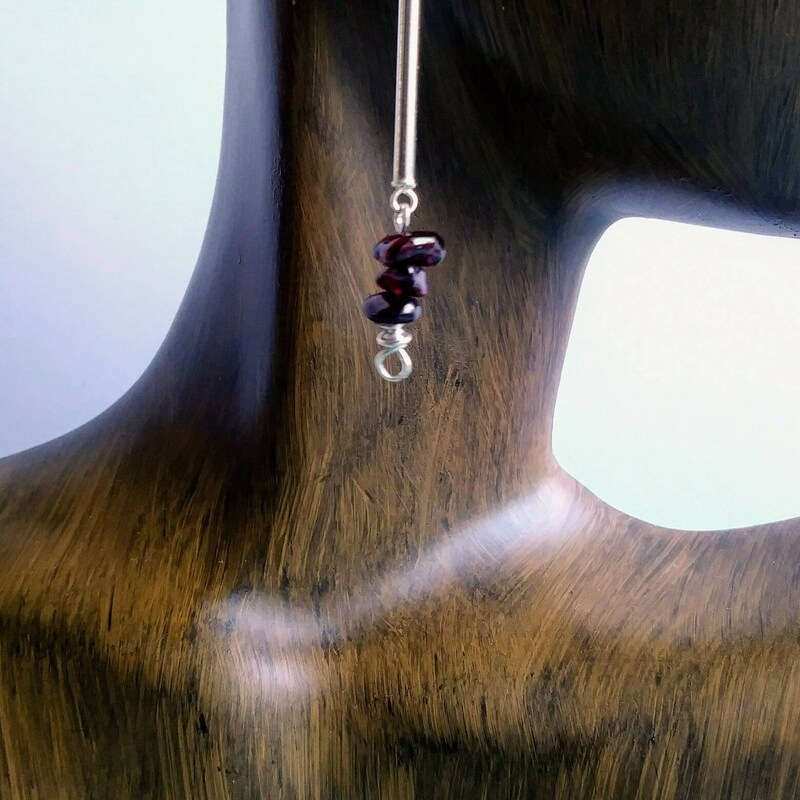 Earrings hang 5.5 centimeters from the ear. 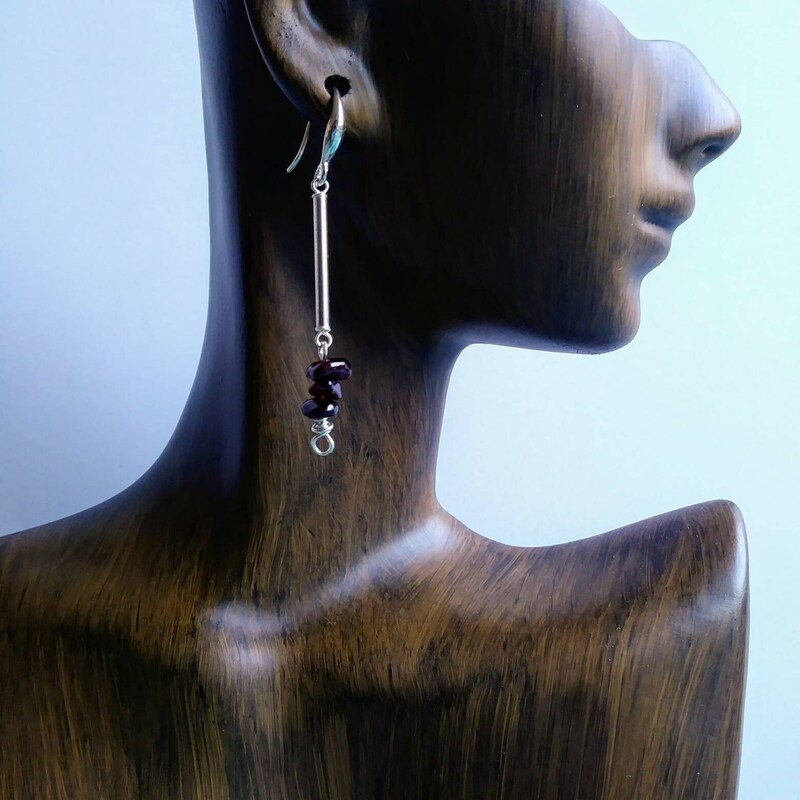 Please note that model is not life size!